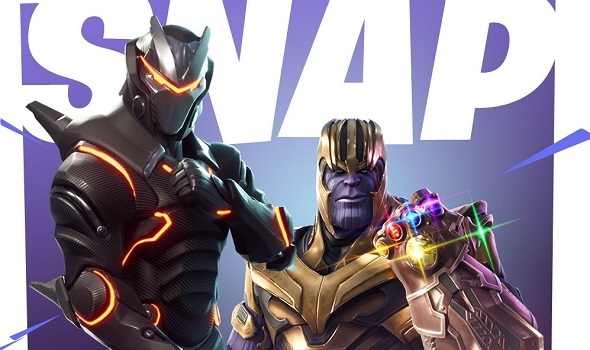 Update, May 8: Thanos, the antagonist of Avengers: Infinity War, is coming to Fortnite for a limited-time event starting today – but don’t expect to be able to play as Spider-Man, Captain America or Iron Man as the store will not get any Avengers costumes. Check out our list of the best superhero games ever to appear on the PC. The maintenance for the new Update 4.1 kicked off earlier today, and when it’s up the Avengers: Infinity War event will be available for a currently unspecified amount of time across all platforms. Original story, May 7: Ninja may have enticed hip-hop titan Drake into the Fortnite universe, but the game is about to host a different kind of titan: Thanos, the ultimate bad guy of Avengers: Infinity War fame, arrives in Fortnite tomorrow. EW has the exclusive on the massive crossover, which apparently began with Infinity War directors Joe and Anthony Russo taking breaks from editing the film to play rounds of Fortnite Battle Royale. That led to a phone call to Epic Games worldwide creative director Donald Mustard. “Out of the blue, I get this call from Joe. And after a bit of geeking out over each other’s work, we start brainstorming these crazy ideas,” Mustard told EW. An hour later, he said, they had the basis for Thanos’ limited-time appearance in Fortnite. Dubbed “The Infinity Gauntlet Limited Time Mashup,” the mode will spawn the all-powerful Infinity Gauntlet somewhere on Fortnite’s Battle Royale map. The player who finds it will transform into Thanos, and presumably begin raining down nine flavors of hell. Infinity Gauntlet mode starts tomorrow, Tuesday, May 8th, and will be free across all platforms.